Any average person has about 100,000 strands of hair and every day 100 strands of hair will fall out. Each strand of hair is 4.5 years old, with growth of about 1 cm / month. Usually in the year to 5 hair will fall out and within six months will be replaced by new hair. When hair loss is more than 100 strands per day then this indicates you are experiencing hair loss. Some diseases such as lupus, syphilis, kidney failure or the effects of chemotherapy in cancer patients can cause hair loss. Hormonal imbalances can also cause hair loss. An example of this is a woman's menstrual cycle. Hormonal changes occur during ovulation which can cause some hair to become thinner. Free radicals, exposure to sun themselves, and pollution can lead to hair loss. Habits women who tie their hair could be the cause of hair loss when the bond is too tight or tie your hair in a long time. If your parents often experience loss problem, chances are you also have the risk of experiencing loss problems anyway. The phenomenon of loss of hair that occurs after pregnancy, major surgery, and weight loss is called telogen effluvium. Women who experience hair loss telogen effluvium realized after 6-12 weeks of pregnancy usi. Unhealthy scalp can cause inflammation which results in hair difficult to grow. 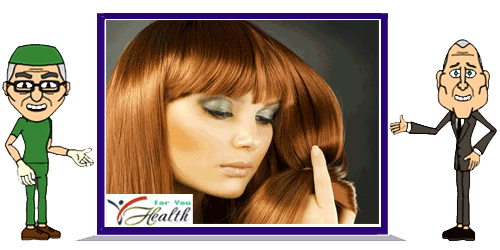 Dandruff and shampoos that do not fit are some of the causes of the scalp becomes unhealthy. Apples contain polyphenols which can overcome the problem of hair loss. Puree apple skin, then Put on the scalp. Let stand for 15 minutes, then rinse thoroughly. The content of antioxidants in green tea can overcome the loss , improve hair growth and hair keep it healthy. Puree onion or garlic. Then apply on your hair before you go to bed, during the morning wash off with shampoo to clean.